Made By Meg: My Tutorial on Fabric Mart + Discount! My Tutorial on Fabric Mart + Discount! 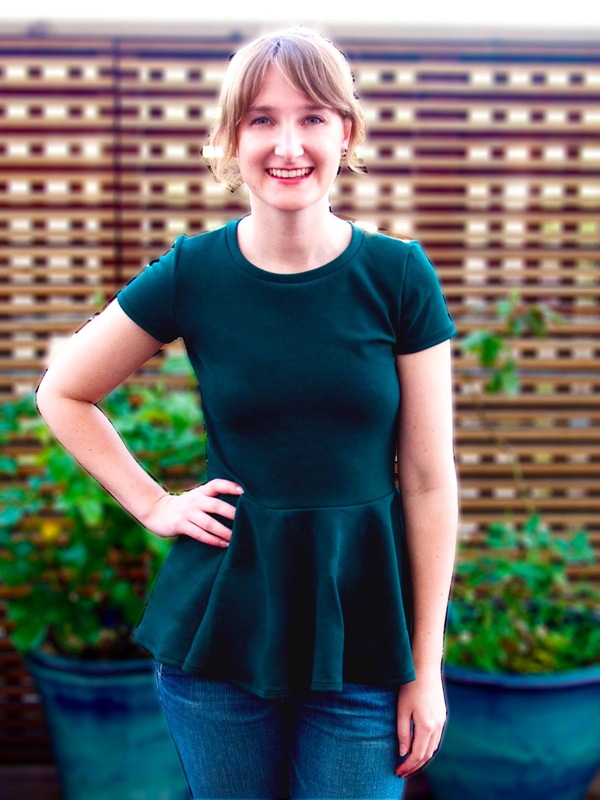 Over the weekend, my tutorial for how to make an easy peplum top went live on the Fabric Mart blog! And what's better than a free tutorial? Discount fabric! Head on over to the shop and get yourself 40% off on all their knits! But hurry! Their fabric is going fast! If you are looking for another great pattern to use with your knit fabric, the GIVEAWAY for the Men's Newcastle Cardigan closes on Wednesday! This is great! I've been wanting to make a top like this... and I've been looking for ponte knits for dresses, so I suppose it's off to Fabric Mart for me! I have some ponte and a Sewaholic Renfrew pattern in my stash that should be perfect for this. Great tutorial! It looks so good! Nice job! I'm glad you did a tutorial, as I really liked your version!